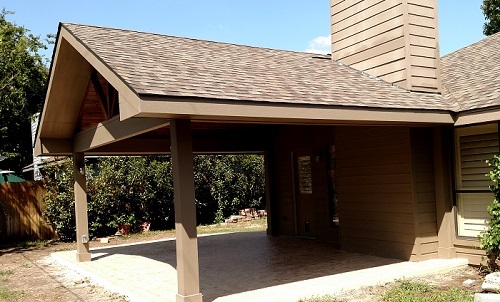 Round Rock, TX, homeowners enjoy our newest patio-and-patio-cover combination — The next one could be yours! Sometimes you just have to trade it in! We all know this about a car or truck, but how about a deck? 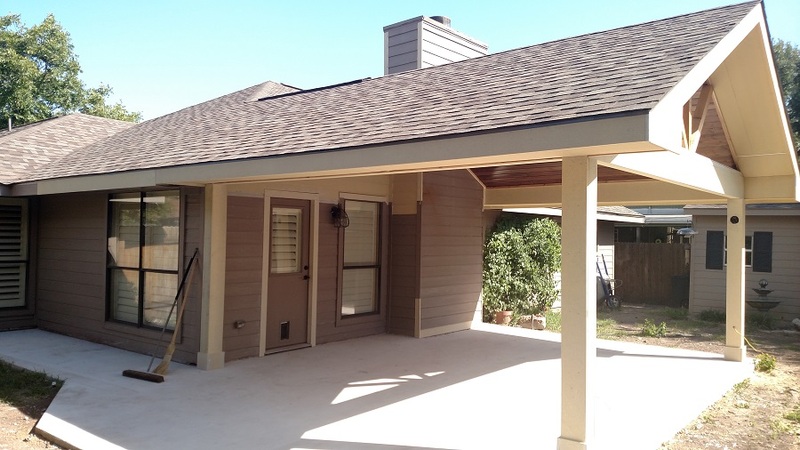 These Round Rock, Texas, homeowners have enjoyed their ground-level deck over the years but found that the pergola over the deck didn’t always provide enough shade. It can get pretty hot out here in the direct sunlight! 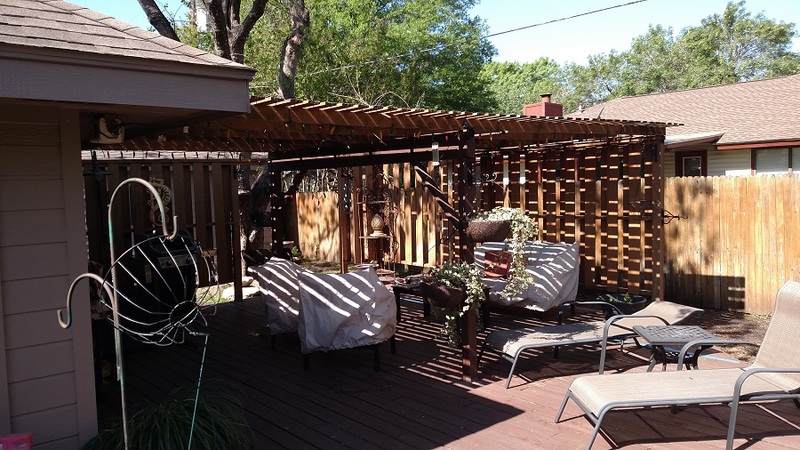 They called Archadeck of Austin because it was time for a double trade-in: (1) the deck for a patio and (2) the pergola for a patio cover. 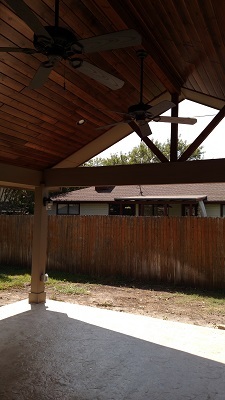 As we talked with them about replacing the pergola with a more-shady shade structure, it became clear that the deck needed to be replaced as well. Rather than a new deck, they were more interested in a patio this time around. Patio cover, meet patio. Before we began the project. Archadeck of Austin removed the deck and pergola. As with most demolition situations, once the original structures were gone, we were looking at a blank canvas — the site of our next piece of outdoor living artwork. Stage one; installing the patio. We built a concrete patio and applied an overlay that we textured, stamped and stained. The effect is attractive, and the textured patio surface will be slip-resistant in the event of a spill. Second and final stage; adding the patio cover. For the patio cover, we used the durable, low-maintenance HardiePlank siding for the soffit, the fascia, and to wrap the posts and beams. We built the ceiling with Synergy Wood, a beautiful pre-finished, hand-stained wood of very high quality. There is something about the richness of Synergy Wood that we find soothing. 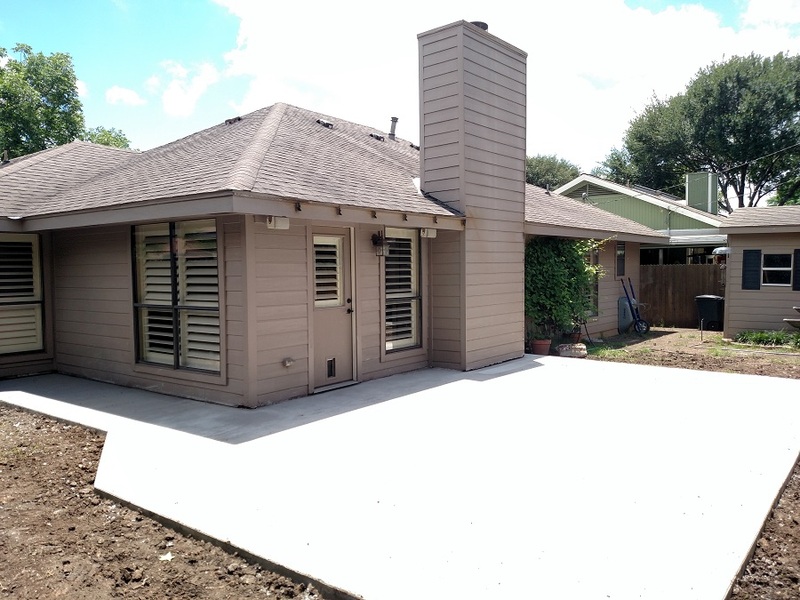 These homeowners are spending the remaining days of summer on their new patio, shielded from the harsh heat of the Texas sun. And they will appreciate another benefit of the new patio cover every time it rains; no longer will they have to run inside when a storm pops up. 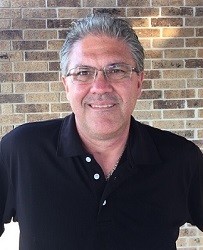 If you would like to learn more about replacing a deck, patio or porch with a new outdoor living space, or adding a patio cover or porch roof to your existing outdoor structure, contact Archadeck of Austin today at (512) 259-8282 or via email at [email protected].